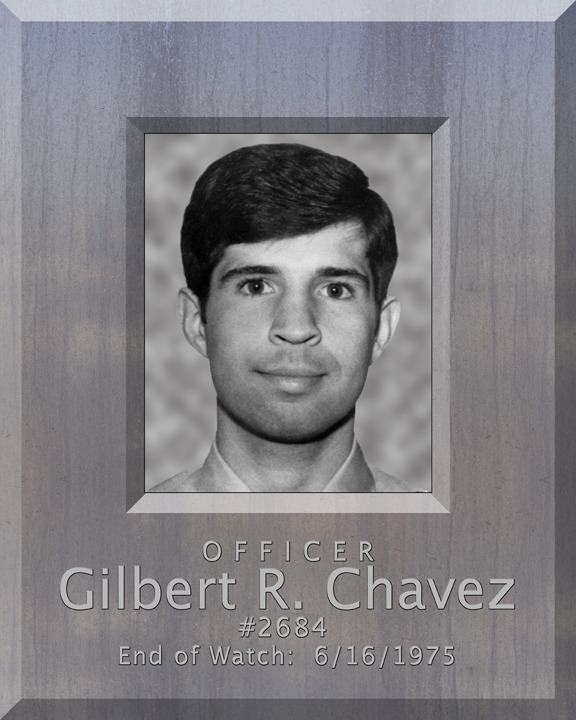 Officer Gilbert Chavez was shot and killed by a juvenile during a burglary of a Phoenix radiator business. Officer Chavez and his partner had entered the business after dispatchers received an anonymous tip that a burglary was in progress. The officer located one of two suspects and a struggle ensued. Officer Chavez was shot near the heart and critically wounded but managed to radio for help before dying. The offender served 25 years, was released, re-offended and is serving 56 years for kidnapping. Officer Chavez had served with the agency for one year. He was survived by his wife. My beloved Gilbert, it's been 43 yrs. since that awful tragedy that changed my life and those that knew and love you so. We believe that those we love don't go away, they walk beside us evey day...unseen, unheard, but always near, still loved, still missed, and very dear. Until we meet again, R.I.P. my love.